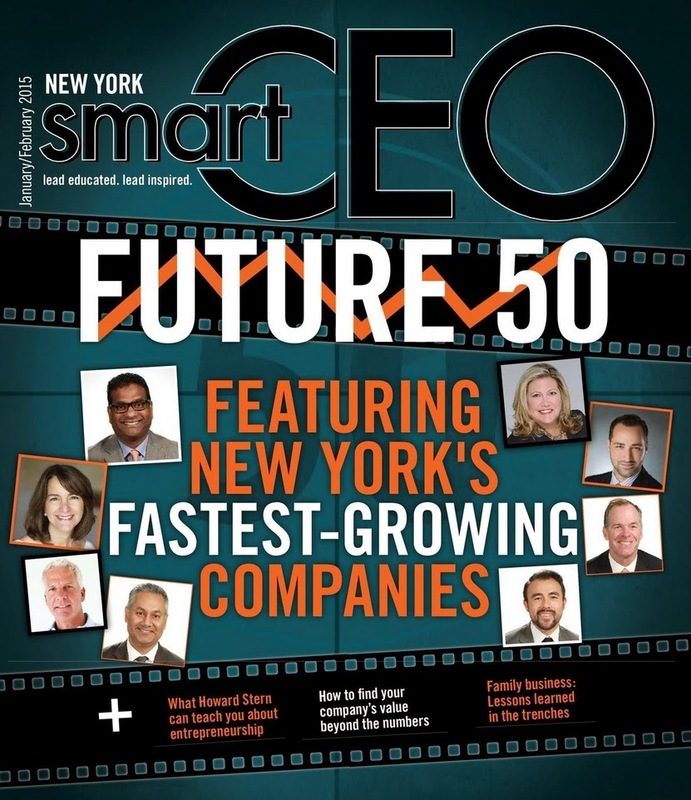 NEW YORK, February 20th, 2015 – Durante Rentals is being honored as one of New York’s fastest-growing companies by SmartCEO Magazine. 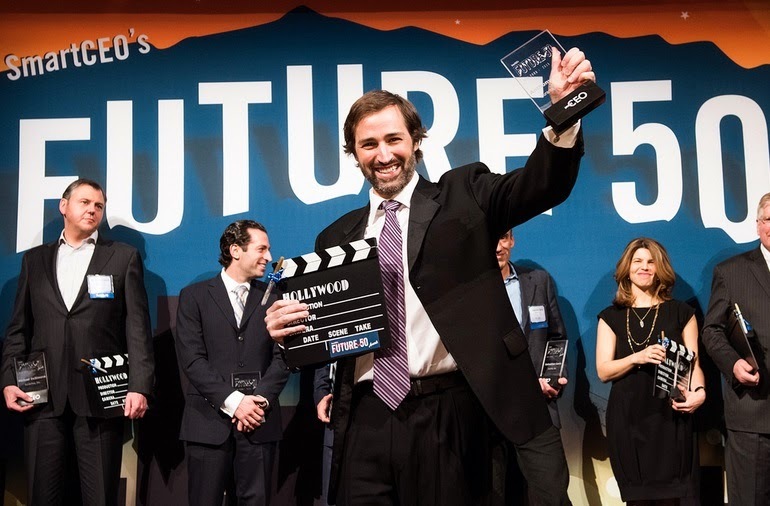 The Future 50 Award is presented to emerging mid-sized companies in recognition of their fast-growth based on a three-year average of employee and revenue growth. The 2015 Future 50 winners collectively generate $2.5 billion in annual revenue and employ 12,136 workers in the greater New York area. More than 400 New York based executives joined Durante Rentals and the other Future 50 honorees at a Hollywood-themed awards ceremony at Capitale in Manhattan. The evening was jam-packed with excitement as the winners celebrated their achievements while networking with other high-profile attendees over dinner and cocktails. Durante Rentals CEO, Anthony Durante, accepted the award on behalf of the company and offered one of his many tips for success. “Listen to people for what they know and not how they dress or look, or their age.” Anthony does not believe in negativity, nor do his partners. They train their employees to recognize that situations can be dealt with swiftly and with minimal complaint or stress if they work through the problem with a positive attitude. They are unmatched by competitors in their market in the positive atmosphere they have created. Durante Rentals and the rest of the Future 50 winners are profiled in the January/February issue of SmartCEO Magazine available in print and online. Durante Rentals LLC rents and sells construction equipment to a wide range of clientele from highway, bridge, stadium, homebuilder and landscaper contractors to movie studios, art galleries, municipalities and sporting events. Founded in 2009 by three entrepreneurs, Durante Rentals is the most trusted name in construction equipment rentals in the NY Tri-state area. With the core values of Speed, Convenience and Culture, general contractors look to Durante for all their equipment needs including excavators, skid steers, light towers, generators, compressors, forklifts, air tools, boom lifts and more. With four convenient locations and counting, their geographic footprint continues to expand while servicing all five boroughs of NYC, Westchester, Rockland County, Connecticut and New Jersey. 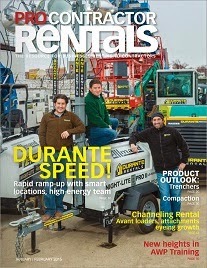 For more information about Durante Rentals, visit www.DuranteRentals.com. SmartCEO’s mission is to educate and inspire the business community through its award-winning magazine and access to valuable online resources. The Future 50 Awards program is the largest and most highly anticipated SmartCEO awards program of the year. This program recognizes 50 fast-growth, mid-sized companies in the region and 10 small Emerging Growth companies. These companies represent the future of the region’s economy and embody the entrepreneurial spirit critical for leadership and success. Pictured: CEO Anthony Durante accepting the award on the behalf of the company.